On 10th November 2014, United Nations Framework for Population Activities (UNFPA) has published a report Masculinity, Son Preference and Intimate Partner Violence in India. This study was conducted in collaboration with International Centre for Research on Women or ICRAW. This survey had many shocking revelations on intimate partner violence in India and how United Nations groups deal with the issue. 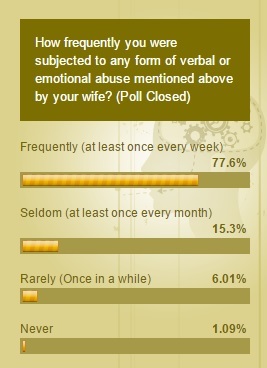 This article will only focus on the issue of Intimate Partner Violence covered in this survey. While setting the context for the study the report says – “India, ….has high levels of violence against women”. So we understand that the study started with the presumption that Indian women are the victims of Domestic Violence and Indian men are the perpetrators. So to bolster their claim this time UN has come up with some statistical analysis and chi-square tests to make their study more complicated for general people to understand. However, the basic premise about the perpetrator in the study remained the same. While setting the context of this survey, it says that “Indian culture makes male dominance over women justified and violence against women normal.” and ironically we see that the survey results also finds the same. So we understand that the intention of conducting this survey was also to prove that India has got a messed up society and culture that encourages violence against women by men. So the researchers had started with a negative mindset about India and went on to prove the same. So the researchers have made men criminals even before they proved in an unbiased manner by their research that men are in fact the perpetrators. The report also shows how flawlessly statistical sampling was done keeping in mind different socio-economic and geographical factors. 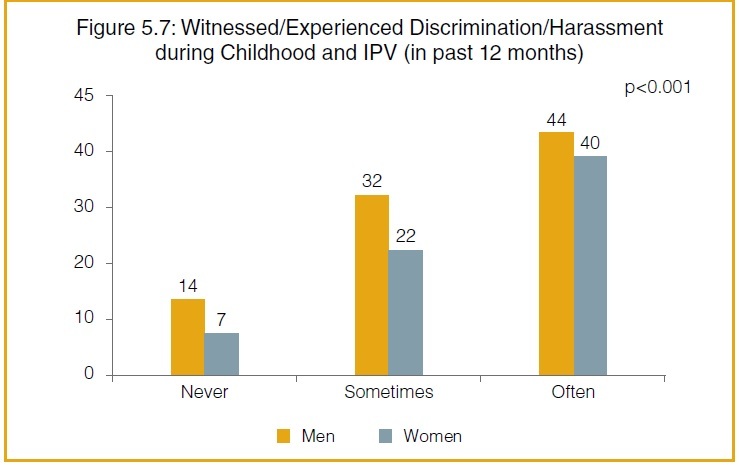 Without getting into all these niceties that common people do not understand and get lost in the glossy and hard to understand jargons let’s directly get to the findings of the survey on IPV. The survey specifically mentions about the religion of the respondents and says that “A majority of men (82%) and women (79%) in the sample were Hindu”. 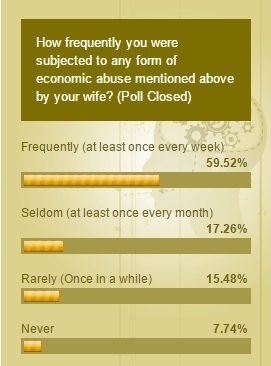 Or in other words, the survey findings show that mostly Hindu men are cruel to their wives. (Hindus beware UN is again trying to malice your religion). 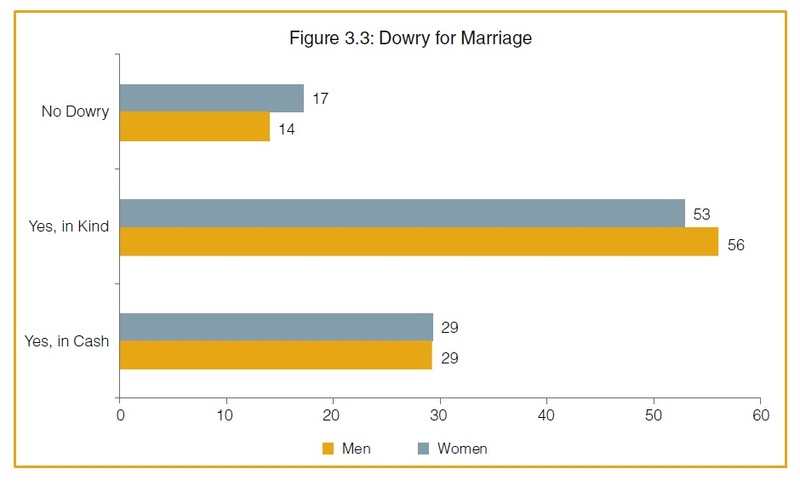 It shows that approximately one-third of the men surveyed did not have any partners. So out of total 9205 men surveyed the effective survey was from 6159 men and out of 3158 women the effective survey was from 2627 women. Because if they had no partner, there was no question of them experiencing IPV. While the report wanted to investigate into the Key Indexes that causes violence, it tried to examine economic stress as it says – “To explore characteristics that may affect men’s attitudes and behavior, we also asked men specific questions about their work-related stress or depression. Given the prevailing social expectation to perform the role of a breadwinner in the family, economic stress is identified as an indicator”. 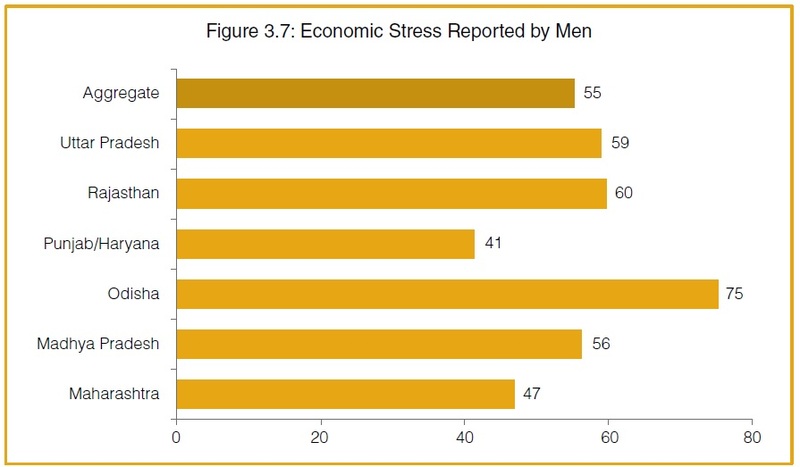 So in a way, this report agrees that men do have reason to be under stress and the pressure of being a breadwinner is huge. The last four questions were asked of men who were not currently working. The above table shows us that how a man is pushed to the corner by the society to be a breadwinner for the family and how this can lead to a disaster situation in a poor country like India. We find that a total of 88% women and 86% men have reported some form of abuse in childhood. This is contrary to our belief that ONLY women suffer from discrimination in India. Just see the nature of questions asked and you will easily be able to understand that if these questions were asked the other way (e.g. my wife always wants to know where I am etc.) the responses would have been the same. But as the questions were asked this way confirms that the survey had only one goal to show that Indian men are control freaks. Coming to the specific questions asked to measure the Intimate partner violence the section in the report states – “In the study, both men and women who have ever had a spouse/partner were asked a series of questions to assess the prevalence of intimate partner violence. 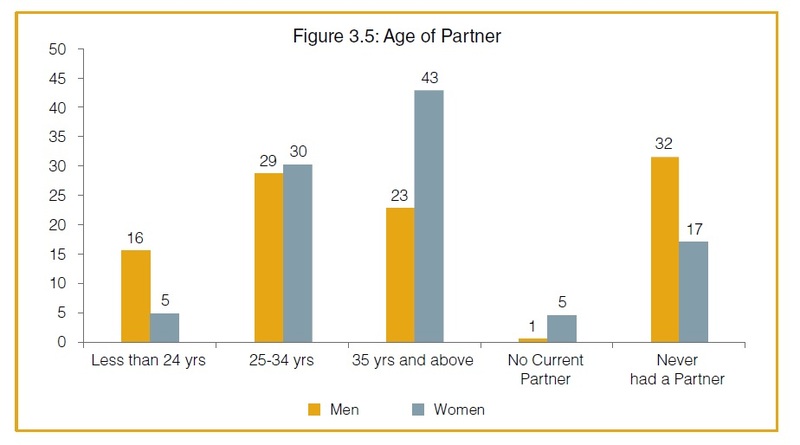 …….Men were asked “Have you ever…” and women were asked, “has a current or previous partner ever…”. Please note that the surveyors had never tried to measure the IPV against men by women. The questions asked were considering men as perpetrators and women as victims. So we understand that the survey was never a neutral and unbiased survey in the first place. 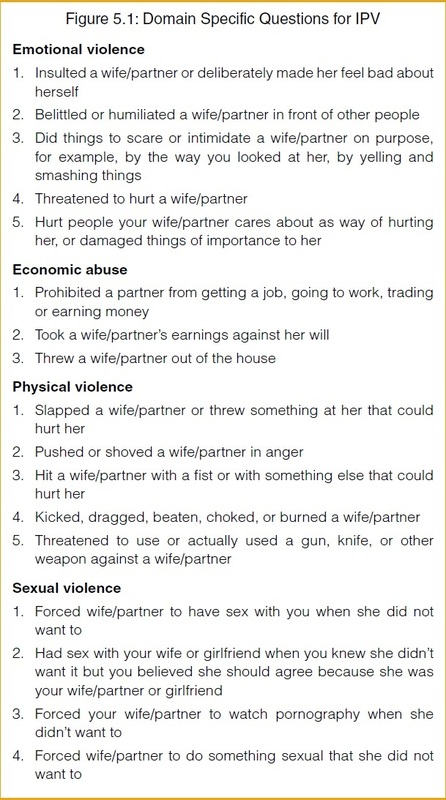 Please note that the above data is represented on whether a WOMAN (not a man) had experienced such violence in her marital lifetime. In section 5.2 of this report, it says “Intimate partner violence perpetrated by men and experienced by women is considered as one of the main outcomes of masculinity in this analysis”. We understand that when one-sided study is done then the outcome of such report becomes invalid. If we believe this data then we understand that if men are doing more violence (as claimed by this study) then clearly it is the Indian boys who are abused more compared to the girls. However, we still do not see any separate ministry for men and boys to take care of their issues. From this UNFPA report, we understand that this report never had an unbiased or neutral approach to the issue of IPV. It had considered that a man is always the perpetrator and a woman is always the victim and conducted the study. So no matter how much statistical analysis it includes all its analogy falls flat as the researchers had never considered the other side of the story. It is thus evident that this is just another effort of UN to shame India and break Indian families. Indian media houses that reported this just highlighted one side of the violence and never tried to investigate into the matter to uphold the truth to the nation. This shows how poorly Indian media is performing today. The significance of this report being published just before International Men’s Day (IMD) on 19th November once again points to the dire need of setting up of a Men’s Commission and a Men’s Welfare Ministry to challenge creating such bias by international organizations against Indian men and boys. Else the future for our little boys will be doomed forever. Kudos to you Partha, well analysed and written. Looks like whole world is against Indian Men trying to break our families and de-rail our country’s economical progression. Hope our lawmakers understand this and act appropriately to save our future generations without falling for short term gains! World is against men..in general. There is a global conspiracy to break Indian families and weaken India. That is why all these are sponsored under the banner of UN. Not the whole world my friend, just corrupt and evil people who make money from misery. Sadly, their is no international shortage of them. Feminists groups are mostly responsible for this sort of BS ‘research’ used to push an agenda. But most Feminists are just Useful Idiots in the scheme of things. World wide, family structures and ties are under systematic attack. The only common beneficiary in every country where this occurs, is the ‘state’, and more importantly, those in control of state power. Yes we need a male commission in India who can raise the voice of male against the biased community. Our society is completely gender biased. Any crime by men or onto women is effectively highlighted while any crime by women or onto men is suppressed. Also laws are different for 2 genders. Bringing male commission into existence itself is a big question because feminists would oppose it. 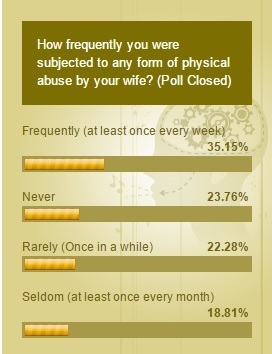 Just wanted to add that 33% of American women claim to abuse their husbands, compared to the 35% of Indian men who claim to be abused by their wives. Looks like India’s women have already caught and surpassed their twisted sisters in the west (in terms of domestic violence). If things continue as they are, it will not be long before India’s daughters match all the dubious honors held by westernized women.